Bottom line: Dark/Night Modes aren’t just good for your eyes; they’re also good for the battery life on smartphones with OLED screens. It’s something that Google confirmed at its Android Dev Summit this week, where the company put together a presentation showing the power draw of different modes and colors. 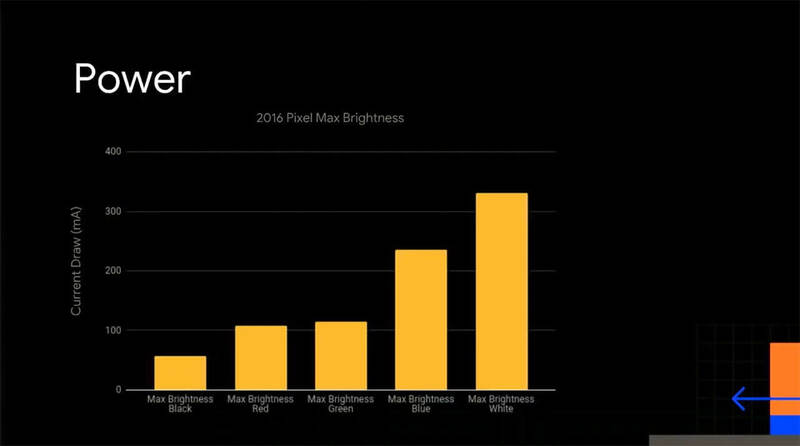 As reported by SlashGear, Google did spend time going over some of the more obvious points, such as the brighter a phone, the more power it will draw. What’s interesting is the comparison between the original Pixel, which uses an OLED screen, and the LCD-sporting iPhone 7. Google’s device draws 250mA while at maximum brightness in normal mode, while Apple’s phone was at 230mA. 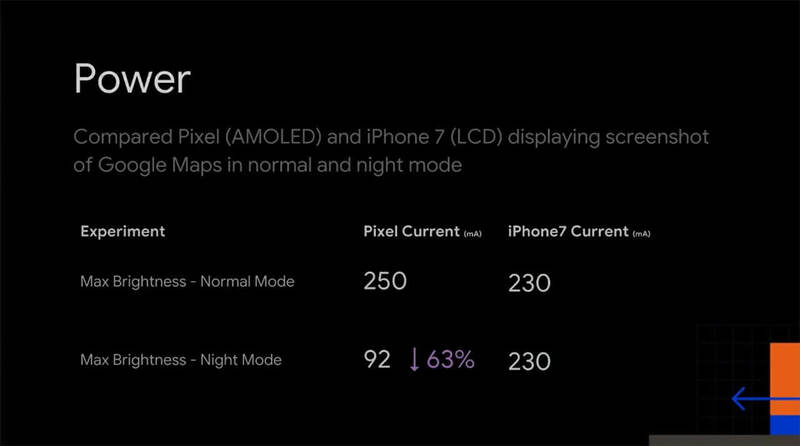 In Night Mode at max brightness, however, the Pixel’s draw drops 63 percent to 92mA, while the iPhone stays the same. With OLEDs, pixels are essentially turned off when displaying the color black, whereas LCDs keep their pixels lit up no matter what is being shown on the screen. So, it stands to reason that the mostly black Night Mode will help conserve your OLED handset’s battery life. 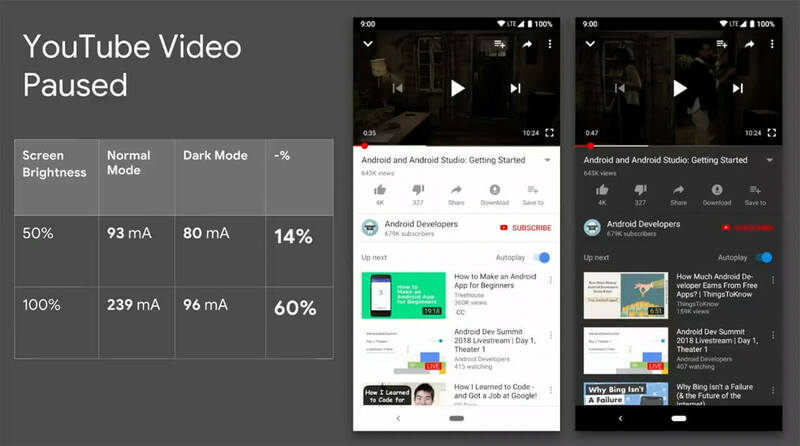 Google showed the difference Dark Mode makes in its YouTube app. At full brightness, power draw dropped by 60 percent when moving from normal to dark. Google has released Dark Mode for apps such as YouTube, Messages, Google News, and Phone, and we can expect it to arrive for more apps in the future. Even if you’re not a fan of Dark Mode, it’s an effective way of keeping your OLED phone working longer.